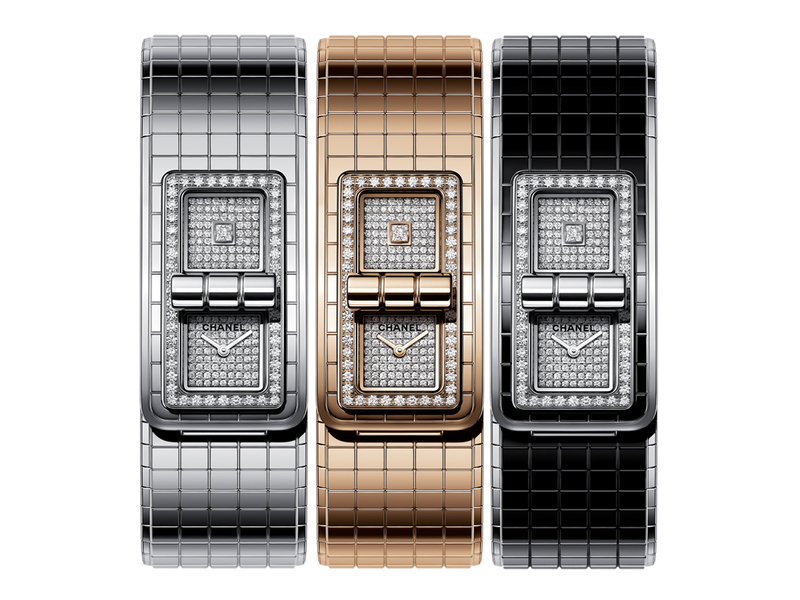 A new addition to the world of fine watches as far as Chanel is concerned, the Code Coco isn’t really a timepiece, but more a piece of jewellery worn around the wrist that has all the French luxury house’s key codes, from the quilting on the strap to the 2.55 clasp on the watch face. For #BaselWorld2019, 5 new exquisite pieces join the family, one of which now comes in beige gold, an exclusive precious alloy launched for the first time on the Code Coco. Featuring diamond-set dials on stainless steel, beige gold and ceramic as seen above, each of the bezels is set with 52 diamonds, with another 152 on both dials, above and below the clasp. And if that’s still not enough, the higher dial also comes with its very own princess-cut diamond for a finish that’s truly luxe. But if you are a firm believer of the whole ‘go big or go home’ rationale, then there are these 2 high jewellery Code Coco timepieces. Limited to just 20 pieces, the one on the left features the Code Coco in 18k white gold, with diamonds covering almost every surface. The case is set with 10 brilliant-cut diamonds, with another 124 brillant-cut diamonds on the bezel. The turning lock system (the clasp) is set with another 72 brilliant-cut diamonds, with the two dials holding an additional 136 brilliant-cut diamonds, as well as 1 princess-cut diamond in the middle. And no, that’s not it. 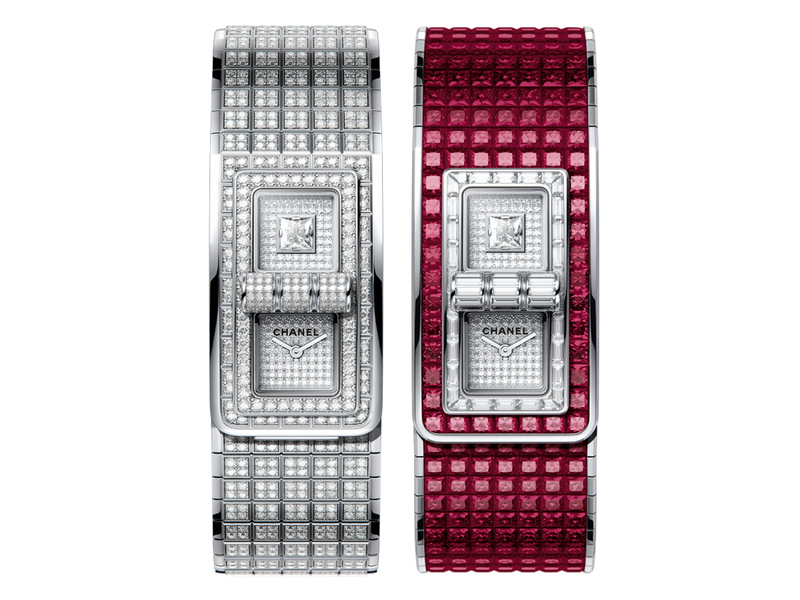 The watch’s bracelet is set with 700 brilliant-cut diamonds, which is truly mind-boggling.